Spend the morning discovering the 2nd, and largest city in Scotland, Glasgow. After your panoramic tour you will have around 2 hours free time to take in the sights on foot. 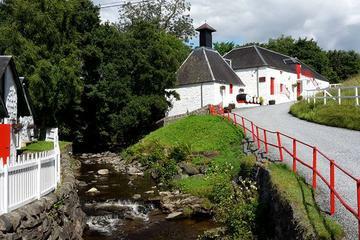 After lunch, it’s off to the Auchentoshan distillery for your guided visit and a wee dram, then you take the short trip down to the banks of Loch Lomond and the beautiful Victorian village of Luss before heading back to your ship at Greenock.